This program can be used by children and adults. Change programming, change unruly behavior, kids acting out on a core level. This new expanded I Create What I Believe! Self-Awareness Art Program Just Materials Kit makes learning this transformative program even easier. The new DVDs and the Step-by-Step guide provide a deeper understanding of the science behind the program, and guide the viewer through the activities in a simple step-by-step manner. We created the I Create What I Believe! Self-Awareness Art Program Just Materials Kit for those who wanted a more in-depth understanding of the science and wanted to be guided through the activities but didn't need all of the art supplies or the messenger bag that are part of the Deluxe Kit. 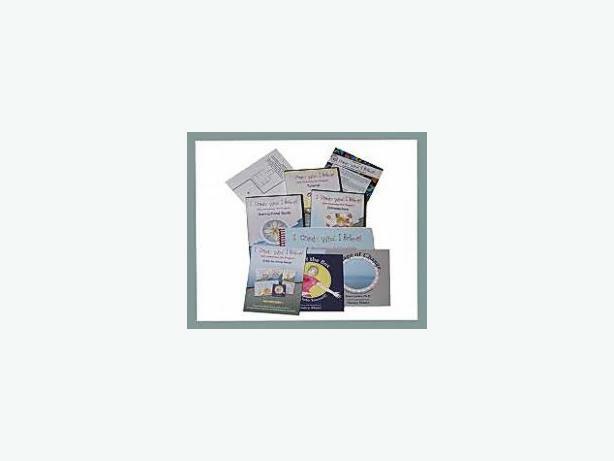 This kit is suitable for educators, parents and individuals who want to learn and implement this program effectively without the time constraints or cost of extensive training. Out of the Box and Into Yourself! The I Create What I Believe! Step-by_Step Guide shows you in a step-by-step manner how to use this program to bring about significant change in your life and the lives of others. This program is for children and adults alike. Can meet Market at Millstream or Thrifty Food Colwood and when in Victoria. Please do not write to put on spam lists. If listed, it is, for sale.